Another day, another PUBG patch. The latest update for PlayerUnknown’s Battlegrounds takes aim at an issue making it difficult to take aim at long distance opponents, as well as client crashes in the lobby. Yes, PUBG is one of the best PC games of 2017. Sadly, this now means you can’t blame the game when you miss those long range sniper shots. Must be, uh, lag or something. Those lobby crashes have been an intermittent issue for various players throughout the game’s development, so hopefully this patch finally puts that issue to rest. PUBG hit 1.0 in time for the new year, and the first post-launch update did a solid job of reducing the game’s rubber banding issues. Players are looking most of all for a long-term solution to the hacker problem. 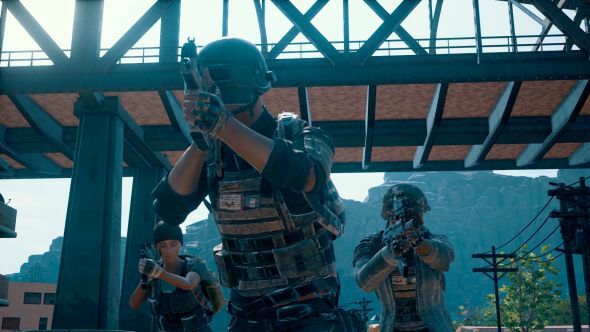 1.5 million cheaters have been banned so far, but they just keep coming.